combine a bit of rustic with a touch of elegance. 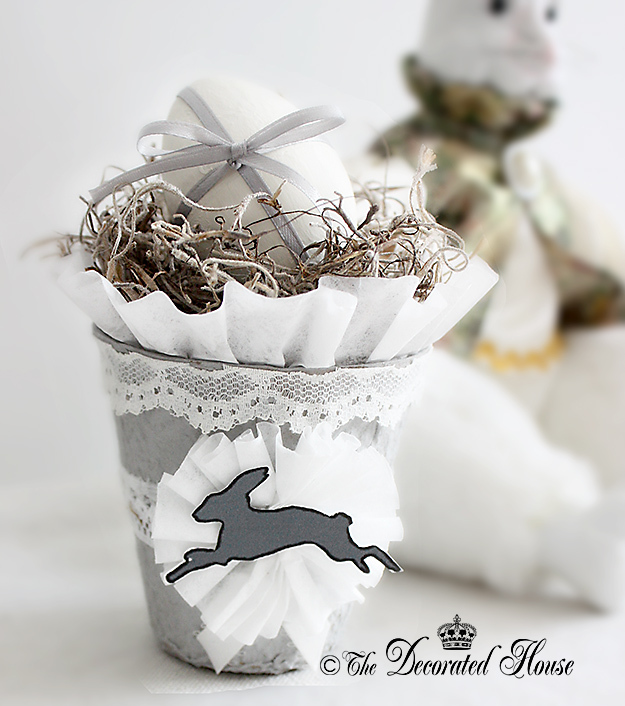 Since they are so inexpensive you can make several for yourself, and as gifts. 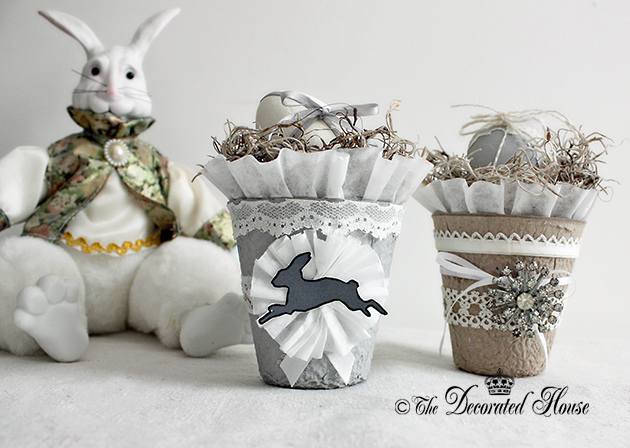 You will find dozens of ways to use them from setting the table, to making little gift baskets or using them to display some of your other decorations like the painted and embellished eggs. just the way it came without any paint. and a vintage rhinestone pin. For the one above, I painted it with Annie Sloan Paris Grey Chalk Paint. You can use any paint that you like. I used this paint because the color was exactly what I wanted. You can mix up any color you like with bottled or tube acrylics. and they would be so pretty for your Easter decorating. Perfect for a little cookie or treat, or a gift certificate. Or a chocolate bunny of course! 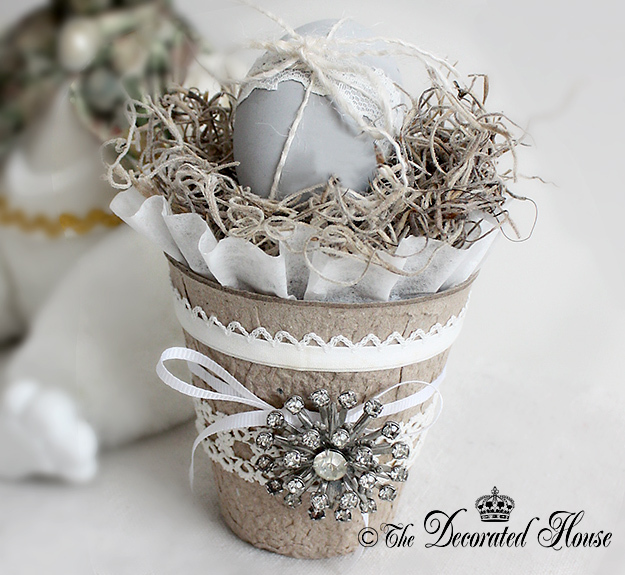 There are so many great ideas for you to try with these little peat pots. These also can be made into the sweetest little baskets if you just punch a hole in each side and add some wire for a handle. I hope you think of many more uses, too! These are so pretty, Donna! I love decorating peat pots. You are right - they are so inexpensive and make for a great little project. 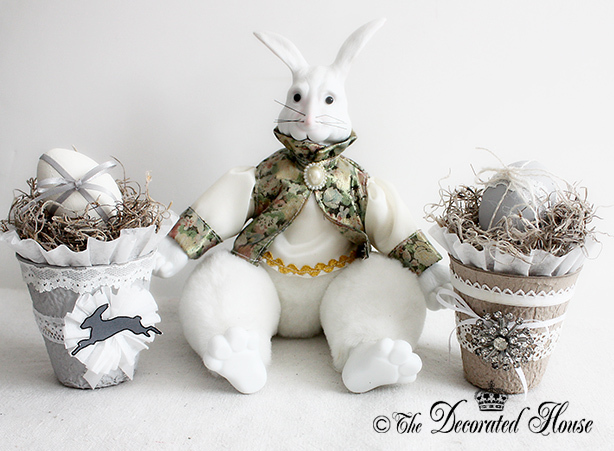 I've done them for Easter and Christmas so they are real versatile projects, too.